Agility in Mind is a digital delivery transformation company. We enable competitive advantage for our clients through agile coaching, agile training and business consulting. Agile School has the purpose of maximizing value, changing the way Digital Products are done in Brazil and abroad. We are a training and consulting company dedicated to make Agile principles and values reality and provide customers with an integrated experience through coaching, mentoring, teaching and execution. Our mission is to fundamentally change the way people, organizations and companies view, approach and deliver software projects. AgileThought is a full-service custom software consulting firm, staffed by the absolute best professionals in the business. Zen Ex Machina is an agile management consulting company. We work collaboratively with corporates and government agencies to help them create digital products and services that people love. ZXM is the most experienced agile coaching consultancies in government in Canberra. Our experience and achievements were recently recognised by APAC CIO Outlook March 2016 as one of the most 25 promising agile companies in the APAC region. ZXM has coached over 45 teams across 20 organisations and trained over 600 people in the last five years. ITNOVE works to improve the performance of software intensive organizations, the value of their products and the quality of life of their members. We believe in the values and principles of agility, and we use Scrum as the foundation to guide our customers in their journey to agile. Wir bei andrena haben eine Überzeugung: Wissens-Transfer und Agilität gehören für uns zusammen. Dazu bieten wir Trainings, Konferenzen, Vortragsreihen … Beispielsweise initiierten wir schon 2004 die ersten XP Days Germany ─ ein Keynotesprecher war Ken Schwaber. Lean Agility delivers Lean training, consulting and coaching services to the public sector. Our mission is to equip organizations with the skills they need to do their work faster, better and more efficiently by improving processes and engaging staff. Our associates have extensive personal experience implementing Lean and Scrum in government giving them a deep understanding of the challenges faced by public sector organizations and practical know-how to overcome them. Armed with this expertise, we offer our clients a tailored approach to truly transform the work, the organization and the culture for better results. Advanced Product Delivery helps organisations, teams and individuals improve the value delivered using agile and lean values and practices. Creating and delivering results your customers actually want empowers growth and retention for your business. Achieving results through an aligned organization of high performance teams engages, retains, and attracts real talent. With our special focus on how people show-up, interact, and take action, we'll show how to make the most of Scrum every day – blending training, coaching, and hands-on support. Springhouse strategizes and delivers technical training, mentoring, and consulting using best-practice solutions. Our course curriculum keeps pace with the evolution of computer technology, project management, and professional development. We are unrelentingly dedicated to providing quality instruction and elevating the knowledge of corporate end-users and IT professionals. We are the training experts who have been training the experts since 1989. Our goal is greater than to simply teach technology; our vision is to integrate, innovate, and inspire. 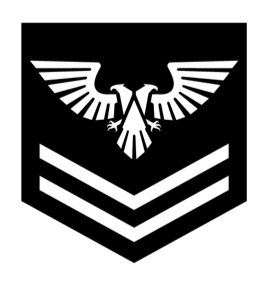 "BrainRain is leading consulting and training company and the first PTN member in Ukraine . We offer all kinds of Scrum.org trainings including PSM, PSPO, SPS... We do consulting, training, implementation and coaching." 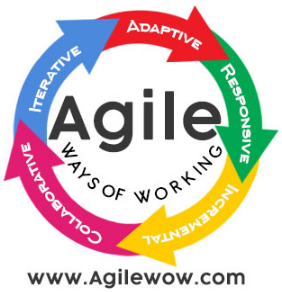 Practice Agile is a hands-on Agile consulting and training company that strongly believes in and practices Scrum.org's mission of "Improving the profession of Software Delivery". We have conducted various certified Scrum.org workshops for 2,000+ professionals. Our organization takes pride in leading Agile transformation for over 12 organizations in BSFI, retail, startups, manufacturing and non-IT companies. Our trainer has published a book "Scrum Insights for Practitioners" that has been recognized as a reference book for Professional Scrum Foundations workshop. CEASOFT is a enterprise from Venezuelan that support enterprises and individuals to learn and implement Scrum. CEASOFT helps organizations to understand the benefits on values, mentality, culture and agile principles, with the support of training, consulting and coaching. AgiliX is a network organisation that guides Lean-Agile adoptions across Europe and provide certified trainings worldwide. Our Mission Statement is ‘Transforming performance through learning’. Kami adalah perusahaan pertama di Indonesia yang telah berdiri sejak tahun 2008 yang fokus dalam memanusiawikan lingkungan kerja menggunakan kerangka kerja Scrum dan telah membawa dampak dalam ekosistem software delivery Indonesia. Kami telah menulis buku Scrum dalam bahasa Indonesia pertama berjudul Manajemen Modern dengan Scrum. Hubungi kami sekarang juga untuk belajar bagaimana menggunakan Scrum untuk meningkatkan adaptabilitas perusahaan anda di pasar dan kebahagiaan para pekerja dan pelanggan. 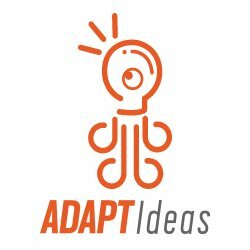 AdaptIdeas Coaching & Training is a Brazilian company, inspired by turning good ideas into simple, useful and intelligent products. The company has gained "life itself" from the launch of the product called BuscandoCursos and has been inspecting and adapting over the years. Today our biggest challenge is to help our clients think about agility in a more dynamic and pragmatic way. Flow Sphere supports Organizations with Training, Coaching and Consulting on their journey to a lean-agile organization. We support Organizations consistently at all company levels. We are passionate about sustainably optimizing the value-add to your business. The participants of our training and workshops benefit from our great expertise and focus on practical application. Xpirit’s team consists of leading IT professionals specializing in Microsoft Application Lifecycle Management, Cloud, Enterprise Mobility and Security. Xpirit was founded in 2014 as a spin-off from Xebia Netherlands BV and operates as an independent company within the Xebia Group. Skill Focused Training provides IT training, consulting and certification across all aspects of the software development lifecycle and professional development spectrum. At naked Agility we believe that every company deserves working software that meets their needs on a regular cadence. Since 2010 we provide Agile Coaching, Scrum Trainings, Testing trainings, ISTQB, REQB, IBBQA certification. We are working with broad range of organizations from small teams to global international brands. Agile Code Consulting Co was founded in 2017. With more than a decade experience in teaching Scrum, we have trained over 1000 consultants across Asia and the Middle East. Our aim is to develop Scrum Teams to be self-organizing and to succeed in complex environments in product delivery. The mission of ProAgile is to guide all sorts of organizations on their agile journey. What drives us is working with our customers as they create awesome places to work and amazing products/services. Our services include agile transformation change management and well as training, coaching and mentoring for all sorts of roles withing the organization. Radtac transform organisations by releasing the potential of your people through training, coaching and consulting, delivery, visualisation, and bringing in the best people to deliver measurable results at all levels. Since 1993, Quadrus Development Inc. has offered Information Technology services to the Western Canadian marketplace. Quadrus offers an extensive curriculum of Scrum, Project Management, Software Development and Business Intelligence training courses and programs for companies and project teams looking to quickly and effectively grow skills that stick. In 2013, Quadrus merged with Improving Holdings LLC to become part of the Improving Group of IT services and training companies, with offices in the U.S. and Canada. Accentient is a company that has proven itself within the Application Lifecycle Management, Scrum, and DevOps community and continues to exceed the expectations of our clients. Ross Agile Consulting Group, LLC. The Ross Agile Consulting Group, LLC. is a Service-Disabled Veteran-Owned Small Business (SDVOSB). Our industry knowledge offers over 15 years of proven domestic and international experience leading complex enterprise software solutions. Our coaches are thought leaders within the agile community and provide the foundation your organization needs to reduce inefficiencies. We exercise the fundamentals necessary to avoid poor agile habits commonly found within a maturing agile-oriented organization. Whether you are looking to learn about Scrum for the first time or you are a seasoned practitioner, our training will transform and grow your organization. Software is eating the world. That is why we at Prowareness think it is important for companies to be flexible and responsive. Xcelerate Partners is an experienced provider of Agile consulting, coaching, and training services. Bakkah is a national consulting and training company formed by multinational professionals that have a wide experience in management consulting and professional training. We develop solutions tailored to our customers needs. Agility Path Pty Ltd is an Australian based training and coaching company focusing on improving organisation's state of agility. Our approach to improve an organisations state of agility is holistic, evolutionary and metric driven. Contact us today to find out how we can help you improve your state of agility. Info Trek is a leading provider of corporate technology training in Malaysia. With more than 20 years of training and development experience, we bring learning to everyone who seeks to better themselves be it enterprise training courses, or individual professionals and enthusiasts. Our core business is built on training and nurturing learners to instill them with the ability to go beyond their limits; arming them with knowledge to keep up with the fast-paced corporate world. We are in a complex environment and interestingly most of the complex problems have a simple solution. We believe in providing the simple solutions while creating a better professional world. We show courage to ensure the transparency is maintained while enabling people to give their best. Our mantra is – Live Integrity, Think Customer, Ignite Passion, Take Accountability, Promote Innovation and Achieve Greatness. Neno Loje is an independent consultant and trainer who is helping teams to become more successful. Reduced to its barest essence, enterprise agility is really about mastering innovation at scale. Most organizations are conservative rather than innovative, and can be quite reactionary when faced with change. 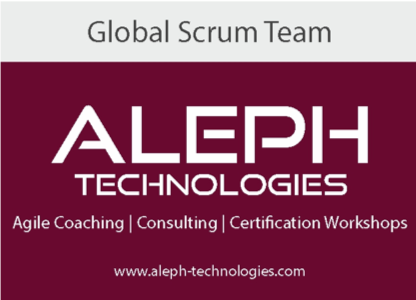 Aleph Technologies is a premiere training, management consulting and professional services company. Aleph offers exceptional trainers with real-world experience. Our class room and online based learning provide engaging and applicable exercises that allow for practical understanding of the material. Max provides educational services for IT professionals, software developers and knowledge workers in Fortune 1000 companies worldwide. We specialize in private/customized classes, mentoring and intensive bootcamps for individuals seeking a career change. We are woman owned entering our 20th year and have been responding to the changing needs of our clients. Poland's leading provider of Agile training & consulting services founded in 2007. Offering Scrum.org's Professional series classes since 2010. Waste and confusion can happen when there is disconnect between your Tools Advisor and your Agile framework. As both an Atlassian Gold Solution Partner and a member of the Scrum.org Professional Training Network, Fringe Technology can help you bridge that gap. Gunther left Scrum.org in 2016 to continue his journey of Scrum as an independent Scrum caretaker. Capgemini Academy helps people and their organizations to get the best out of themselves and each other. At Responsive Advisors our mission is to provide our clients with a holistic approach to agility. We partner with our clients to help create a sustainable culture that is change responsive. Unter dem Label „Scrum Events“ bietet die HLSC GmbH Dienstleistungen wie Beratung, Zertifizierungstrainings, Workshops und Konferenzen mit dem Schwerpunkt agile Softwareentwicklung insbesondere mit Scrum an. Creating high performing digital enterprises! To achieve our mission and vision we offer three services: Training, Consulting & Software. We are proud to say that we are the only one in the world providing all three services together which would make your Agile Journey a successful one! These services can be acquired separately from each other. However, for the maximum added value/impact we offer all three. Discover our global, data-driven experience and increase the impact of your Agile journey today! Founded in 1996, NovaTec is an independently managed IT consulting firm based in Germany. ACM is a technology and consulting company specialized on AGILE processes and practices. It increases the efficiency of organizations by using AGILE methods.